‘Commandaria Orchestra and Friends’ Concert Series features Eva Stavrou (Flute), Mavroudes Troullos (Bassoon) and Annini Tsiouti (Piano) in a concert with masterpieces by César Franck Camille Saint-Saëns & Gabriel Fauré. We could say that after the voice, wind instruments are the most expressive since their sound is produced by breathing – a vital process for physical and mental health. And what else could possibly complete our mental euphoria more than music? That is why you are all invited, on this winter night, to let yourselves enjoy, along with a glass of wine, the marvellous sounds of the wind instruments. Through the works of French composers, we shall seek and enjoy the harmony within! started studying piano and flute in Cyprus. She graduated in 2009 with distinction from the Music School of Nicosia, and then progressed to higher education at the Universite Lumiere Lyon 2 and at the Conservatoire à Rayonnement Régional de Lyon. She continued her studies at the Royal Conservatory of Brussels receiving a Bachelor’s degree in Flute and Piccolo. Currently, she is attending the second year of her master studies in flute also at the Conservatory. Eva has taken part in various orchestras and chamber music groups. Some of her participations include the Youth Orchestra of Lyon, the orchestra of Université Lumière Lyon 2 and the orchestra of the Royal Conservatory of Brussels. A special interest in contemporary music has led her to work with young composers. Recently, she created ‘merak-i’ – a project aimed at promoting Cypriot culture abroad, through collaborations with composers, poets, photographers, film directors and performers from around the world. Mavroudes Troullos – Bassoon (Nicosia 1992). A young and charismatic cypriot bassoonist, raised in a musical family. He studied at the “Conservatory of Music and Drama” in Athens, at the “Hochschule fur Musik und Theater Leipzig” and today he is expanding his musical horisons at the “Koninklijk Conservatorium Brussrels”. He started his professional orchestral career at the age of 20 as a member of the “Armonia Atenea-The Friends of Music Orchestra” (2012) and later on in one of the best orchestras in Greece -the orchestra of the “Greek National Opera” (2013-2014). He has also collaborated with the “European Union Youth Orchesta” (2010 and 2011 Leverhulme Summer School) and the “Kungliga Akademiska Kapellet” in Sweeden (2012). He did his Debut as a Soloist with the “Cyprus Youth Symphony Orchestra” in “Kypria International Festival 2009”. Also, he took part in CD and Radio Recordings. Mavroudes is a passionate bassoonist with charming ability to captivate an audience, owing sense of showmanship. took piano lessons at the Ethnikon Odeion Kyprou with Thetis Dalitou. After receiving her piano Degree she was accepted at the École Normale de Musique de Paris where she studied piano and chamber music. In 2001 she started taking piano lessons at the Conservatoire Municipal du 17e arrondissement – Claude Debussy, where she was awarded a scholarship by the City of Paris for the academic year 2003-2004. In September 2000 she started studying Musicology at the Sorbonne University, where she specialised in 20th century music. After presenting a Maîtrise in October 2005, she followed up with a Master 2 in October 2007, both of which were received with Mention Très Bien. Both works of research dealt with the piano music of Greek composer Nikos Skalkottas, the first analysing the Four Suites and the second the 32 Piano Pieces. She is currently preparing a doctorate degree at the same university. In 2008 Annini moved back to Cyprus where she has been working as piano teacher and accompanist. She continues giving concerts, in Cyprus and abroad, and has appeared in many cities in Europe and the Middle East, where she has also performed in various international festivals. A fervent supporter of contemporary music, she has given first performances of many works by Cypriot and other composers, either for piano solo or in chamber music groups. 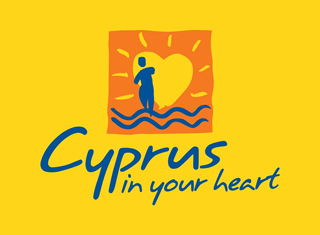 Since 2011 she is the official Cyprus representative of RILM (Répertoire International de Littérature Musicale). 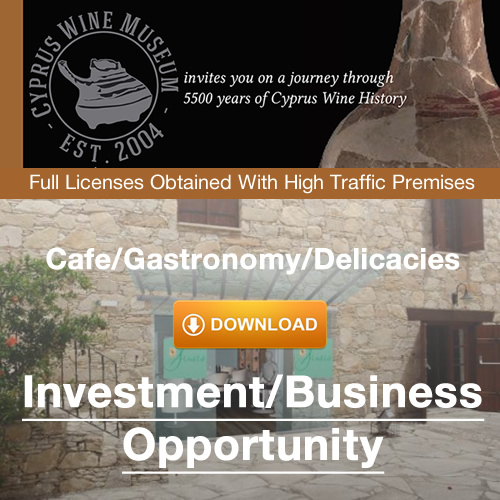 This entry was posted in News at the Cyprus Wine Museum and tagged Events, Orchestra.